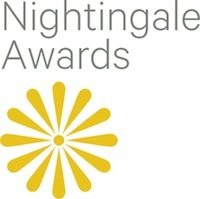 Sponsored by Contract magazine in conjunction with The Center for Health Design and Healthcare Design Expo & Conference, the Nightingale Product Design Awards recognize the best new products exhibited at the annual Healthcare Design Expo & Conference. Purpose: To recognize excellence and innovation in healthcare product design. Who Can Enter: Product manufacturers exhibiting at the annual Healthcare Design Expo & Conference held each November. Recognition: In addition to being recognized during an official awards ceremony at the Healthcare Design Expo & Conference, winners also receive coverage in Contract magazine and personalized glass awards. If you have questions regarding this competition, please contact Eileen McMorrow at nightingaleawards@gmail.com or 973.509.7277.